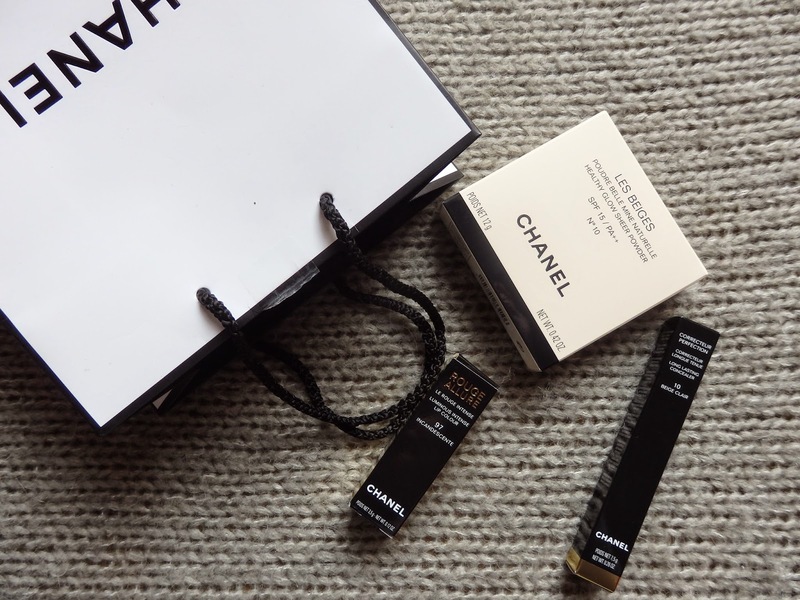 A recent trip to the Chanel beauty store in covent garden happend and these three babies came all the way home with me. First up is the Rouge Allure in shade incandescente, I have been wearing MAC lady danger a lot recently but find it a tad drying so wanted a orange red that would last as well as keep my lips moisturised. I really do like this, obviously the packaging is *to die* with the click and close tube but the product inside has really impressed me, usually with a non matte red I find they smear all over the place and just don't last, this needed touching up every couple of hours and was comfortable to wear - win. Next up the concealer 'correcteur perfection' in shade beige clair 10. I picked this up off the back of Vivianna Does Makeup's recommendation - it's nice I do like but but I'm not wow'd. I'm not easily impressed when it comes to concealer as the collection one for less than £5 is pretty good. This is good for touching up and covers well but for the £27.00 price tag I'd save your pennies! Lastly the Les Beiges powder in N10. Now this I like. You all know my love for my Nars powder but that was really starting to run low and had seen better days, I still think maybe deep down I should of just re purchased that because it it is amazing and cheaper but that fancy CC packaging gets me everytime. 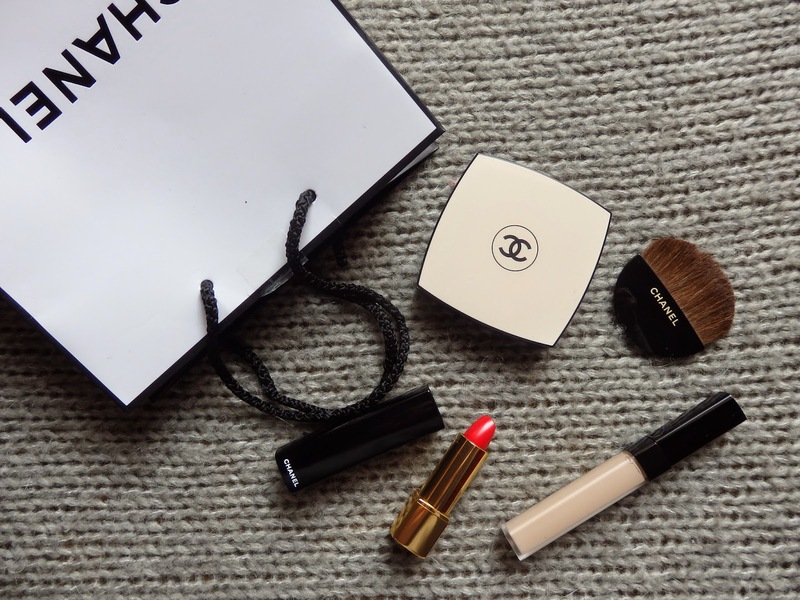 It comes with a brush which I do find acceptable, often the applicators included with products are only fit for the bin but this does the job and saves you carrying around a separate powder brush. The powder is barely noticeable on the skin, it takes down greasy shine but still leaves a natural sheen and deposits a very small amount of coverage, like I said I like - not love. Concealer - SAVE - Collection or Nars both cheaper. Powder - SAVE -It's good but it aint that good - Nars crystal powder in THE ONE. Lipstick - SPLURGE - Love it. Overall a slightly 'meh' review of the Chanel splurge, definitely options to save a lot here but every now and again we just need to over spend on the finer things in life. The color of the lipstick look lovely .